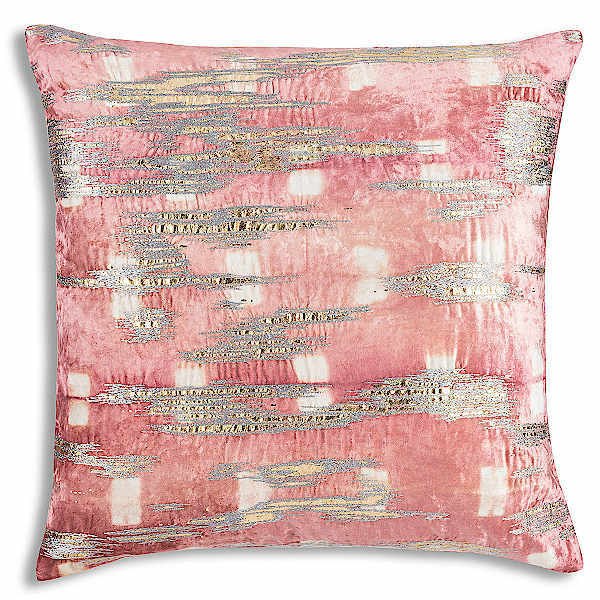 Cloud9 Design Boheme Blush Decorative Pillows - Swatches may be available. 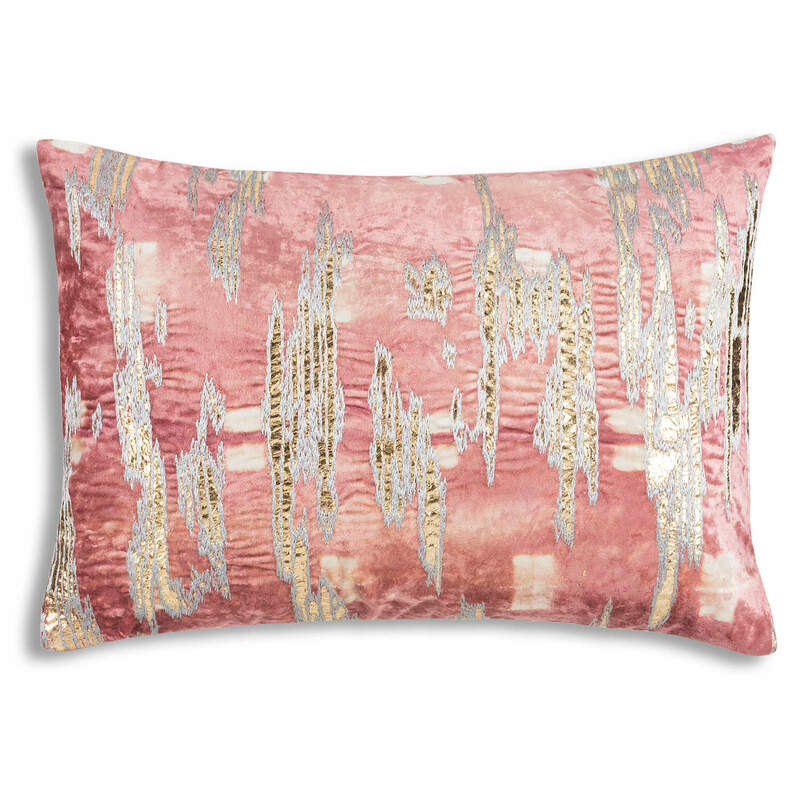 Blush, Pink and Ivory Velvet with shibori print and gold foil and metallic embroidery. 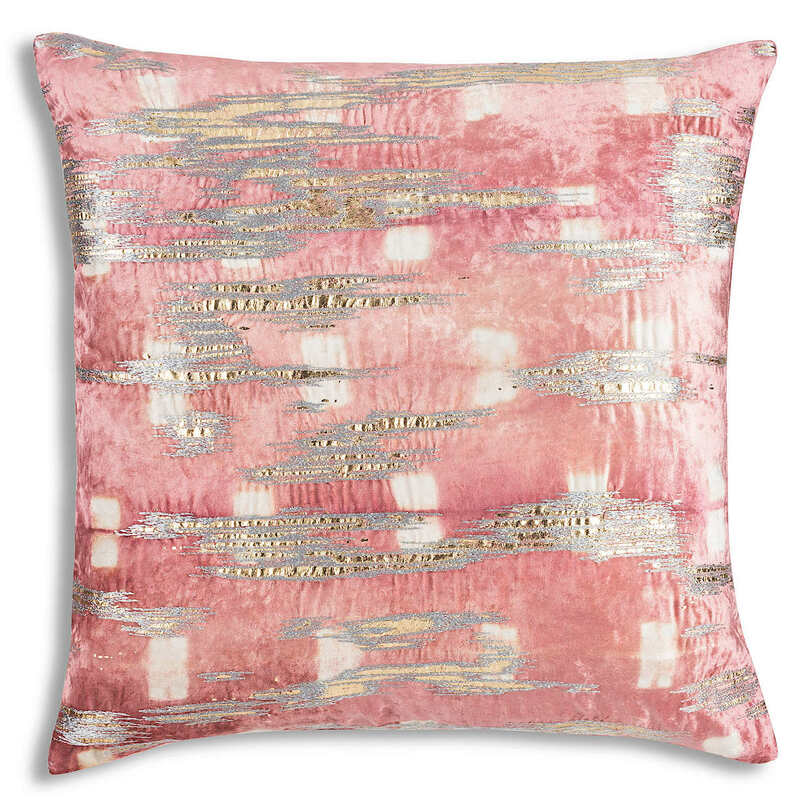 22x22 Blush, Pink and Ivory Velvet with shibori print and gold foil and metallic embroidery. 14x20 Blush, Pink and Ivory Velvet with shibori print and gold foil and metallic embroidery.